Hey there future CEO! First of all, sorry for the small delay of the devlog, we were on a good run with the bug fixing so we decided to postpone it for a few more days in favor for more focused work. We are not really showing of that much new content anyhow these times as we mostly talk about bug fixing. So far our list of fixed bugs count almost 400 since we started the external testing. We are closely monitoring incoming bugs from our testers and are doing prioritization work on which bugs that can be down prioritized and which ones we absolutely must fix before the release. It is worth mentioning that the bulk of the remaining “bugs” are more aligned with suggestions or are in regards to minor cosmetic aspects, meaning something we can accept in an alpha state. We understand that most of you are right now waiting on the announcement of the release date. What we can say is that we are still aiming for a September release and that we just want to really make sure the final critical bugs are 100 percent solved for the current testing crew size so it really is a matter of days before the final decision will be taken. However, a popular question we have been bombarded with is… “what will the game cost?!”. We thought it’s time to answer that question. 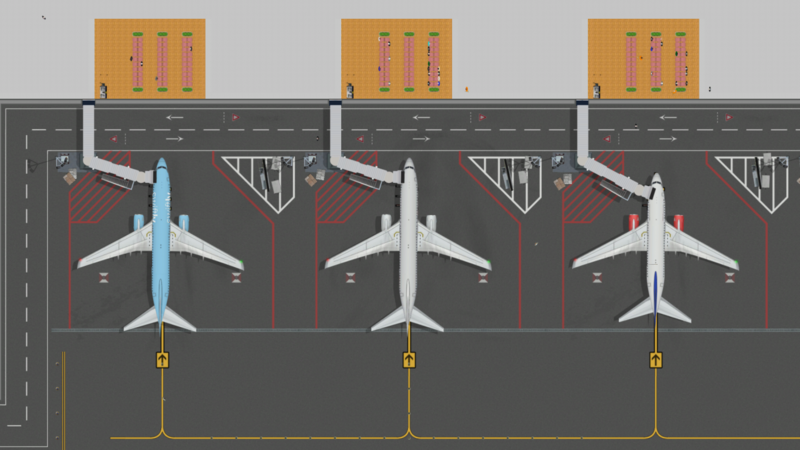 Airport CEO will be priced at 15.99 USD (15.99 EUR or equivalent) and during the first launch week, a 10 percent release discount will be issued! The price should be seen as the purchasing in what’s been built so far but also as an early-bird investment for the future full version of the game. As we decided to skip the crowd funding path, this alpha release is our way of funding and early buyers should remember that the income will go directly into enabling the future development of the game. There are several areas in which we could use skilled people to help us increase the quality of the game (game art, sounds, improved rendering performance, UX and gameplay… well, everything!) and as well free up time for ourselves for more core development of Airport CEO. The 10 percent launch discount should be seen as us thanking you, our core fans and contributors, for your patience and support in this process and we believe that early birds and gamers who are prepared to live with a few bugs and missing content during the early access and alpha period should benefit from a lowered price. The price is thus motivated partially by the work that has been put into it so far given its current content and functionality as well as the work that will be put into it during the road ahead. We plan to gradually increase the price as more content is being added and as the game becomes increasingly more complete. What’s going on here, did the 737 grow or something? Very strange, maybe it’s a new aircraft model that was recently implemented. Which could it be? Overlooking security and office areas. Ready to handle those busy mornings! Allright, time for the patch notes. They’re in a different format than usual because it would be a waste of time to categorize them as we’ve done previously since they simply are far too many. This is the way we currently internally record patch notes (they’re a straight copy paste) so… get used to it! Fixed: Weather notifications appear even though no weather station is built. Fixed: Add some visual feedback for when enabling baggage to inform player that service round has automatically been enabled. 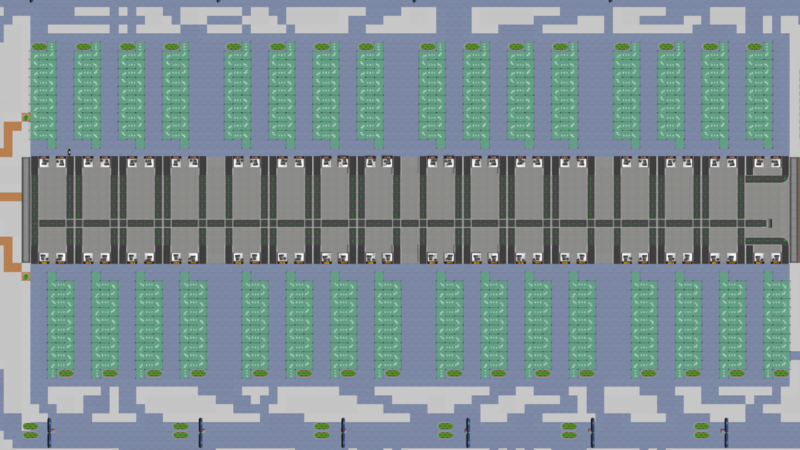 Fixed: Double-flip a runway before building, RWY36 will point S in the game world. Fixed: Validate that boarding time starts earlier if flight is delayed and that duration is suitable. Fixed: One of the four squares of AIRPORT SCREEN does not occupy any space. 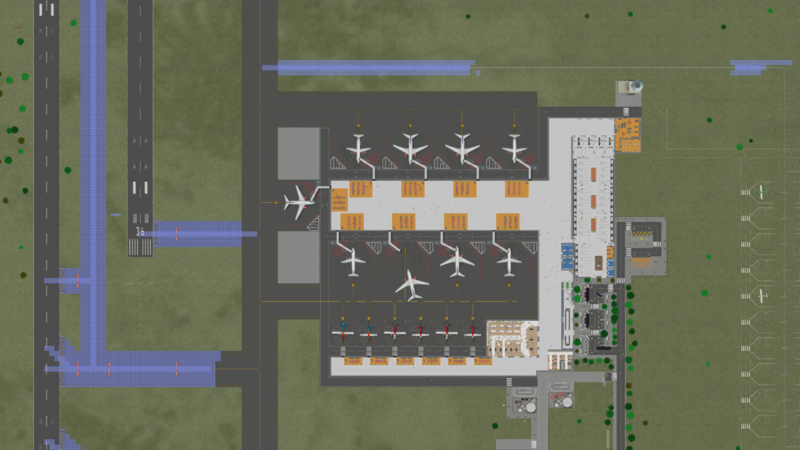 Multiple changes to the tutorial including adding a manuals panel and a tutorial branch for luggage. Allright, that’s it for this week. Hope you enjoyed it and that you liked the news we shared. 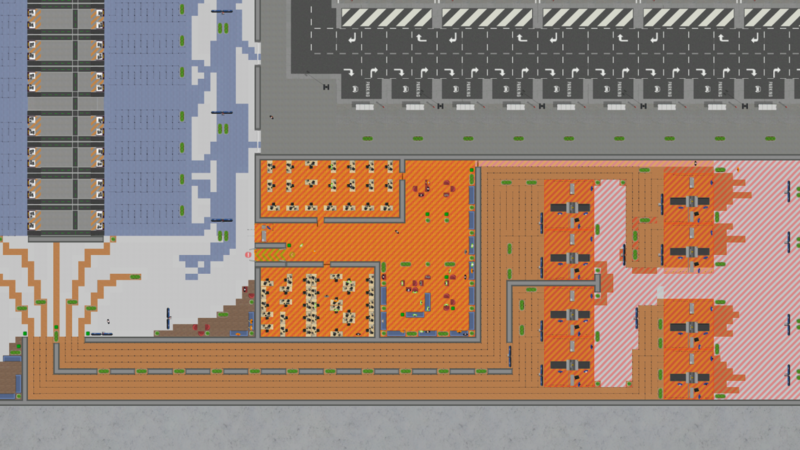 There will be a devlog as per usual on Monday so tune in then! Looking forward to meeting you all over the weekend.